The Grand Texas Sports and Entertainment District is adding another high octane element to its ever expanding array of roller coasters, water slides and outdoor activities: MotorSportz is the latest attraction coming to the 600-acre park under construction near New Caney, about 30 miles north of Houston. A two-mile track will run Go Karts and Super Karts, allowing kids of all ages to reach speeds of up to 90 miles-per-hour. Palmetto Racing in The Woodlands and Miller Performance USA are the driving forces behind the multi-purpose venue at Grand Texas, developing and designing the track. 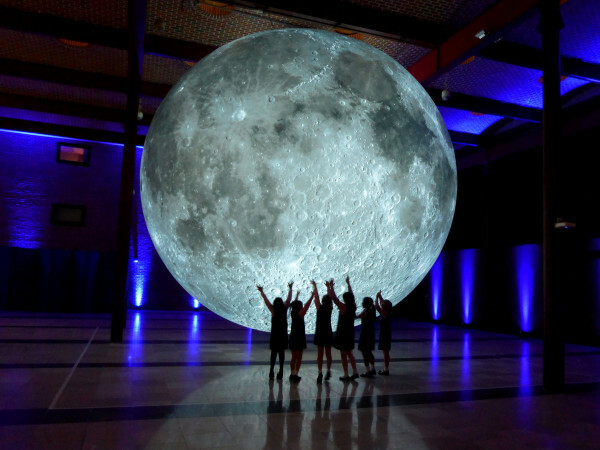 “This process has been slower than I’d like, but faster than I can handle,” Galland said. Monty Galland, developer and CEO of Grand Texas, said the unique layout of the track allows for everything from recreational racing to motorcycling licensing classes to exotic car driving lessons. Local residents raised the questions on the Grand Texas Facebook page regarding of noise levels from the track, but Galland said noise won’t be an issue. “There is a substantial RV park separating the track from residences and the Go Karts are low to the ground on the flat track, so noise will be minimal,” Galland said. 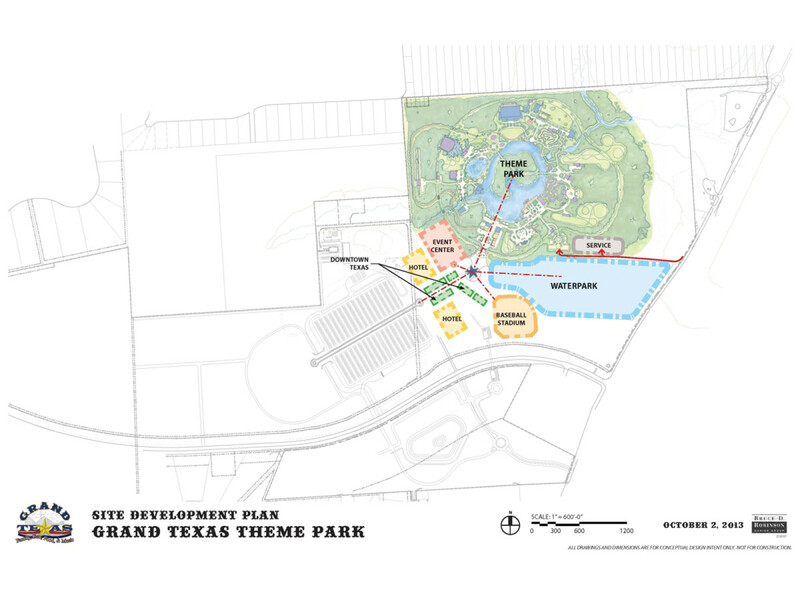 Grand Texas developers have done initial ground clearing and will break ground on the highly anticipated theme park in phases, rolling out bulldozers in mid-August for the RV resort, September for the sports complex and November for the water park. 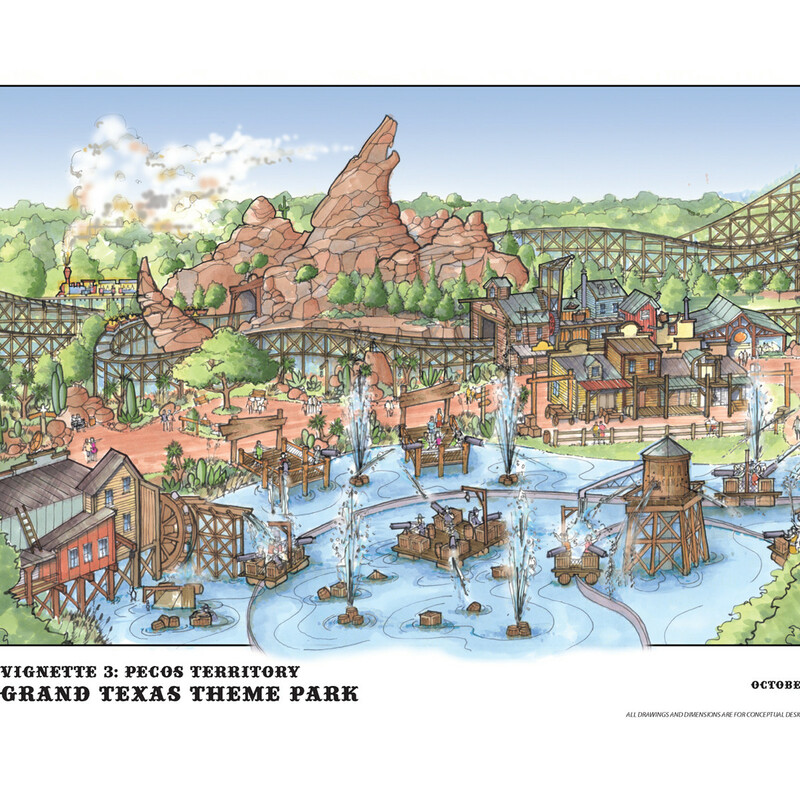 Galland hopes to break ground on the theme park in early 2015. 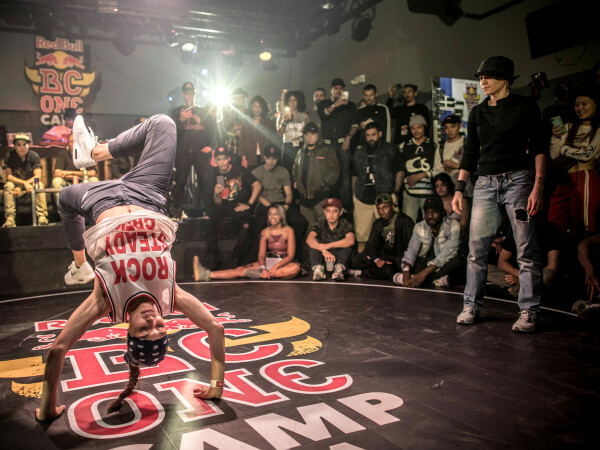 Progress on the park has been slower than developers hoped. 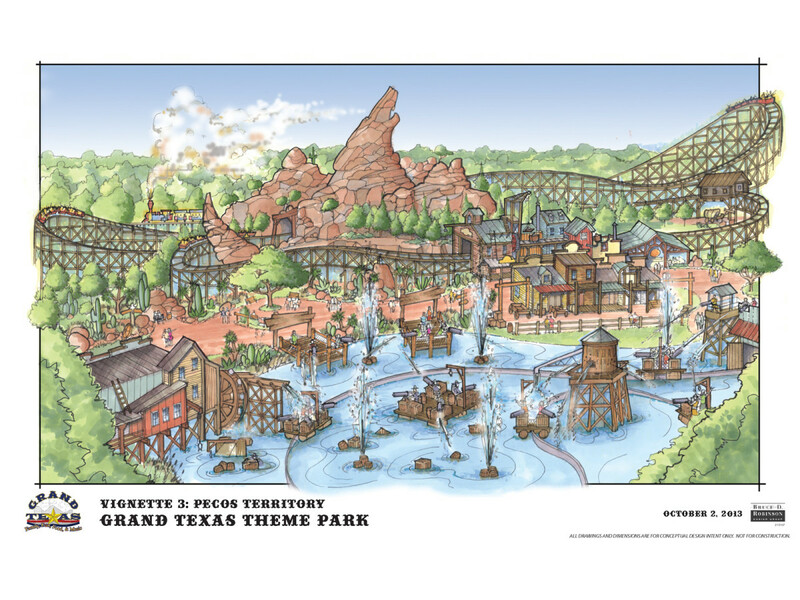 The Grand Texas Theme Park, originally slated to open in the summer of 2015, has now been delayed until 2016. 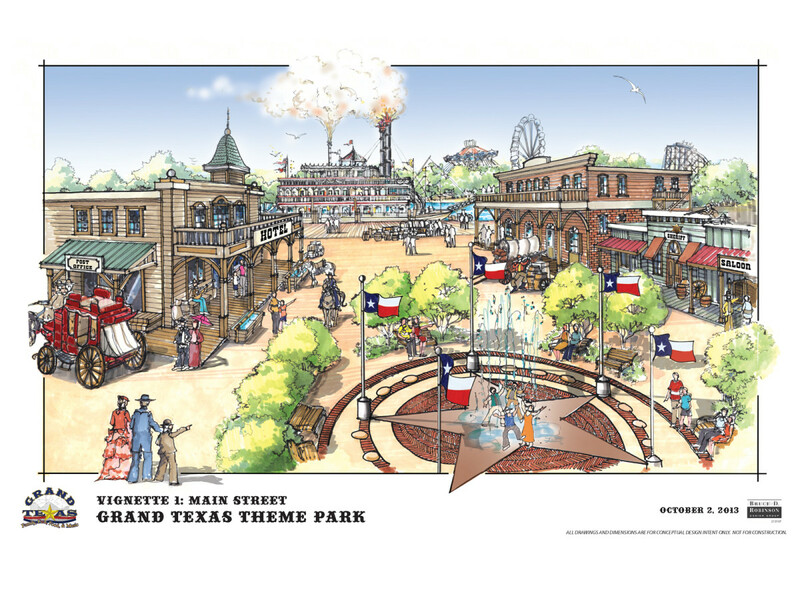 With five state-of-the-art roller coasters planned, it has been hailed as the heir apparent to Houston's long-departed Six Flags AstroWorld. Laying water and sewer lines and working with the Texas Department of Transportation have taken more time than originally expected, Holland said. 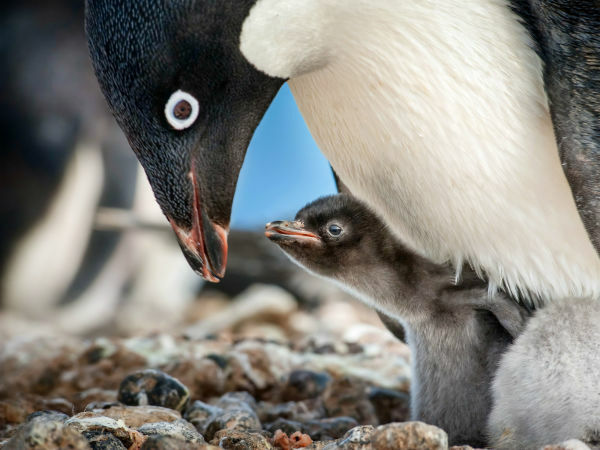 “This process has been slower than I’d like, but faster than I can handle,” he said. 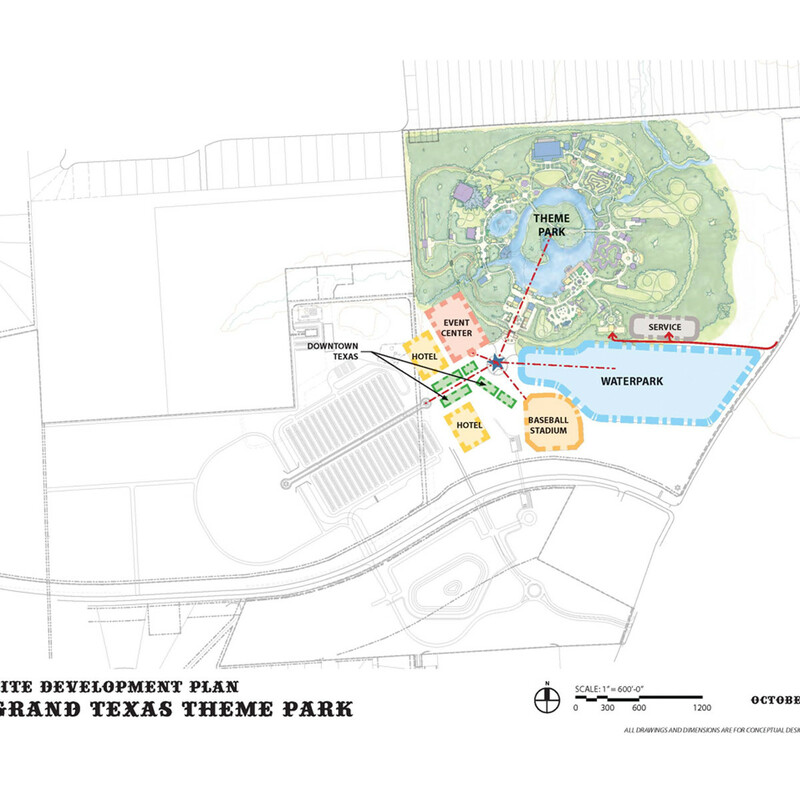 The Big Rivers Water Park and Grand Texas Sportsplex are set open in spring 2015. 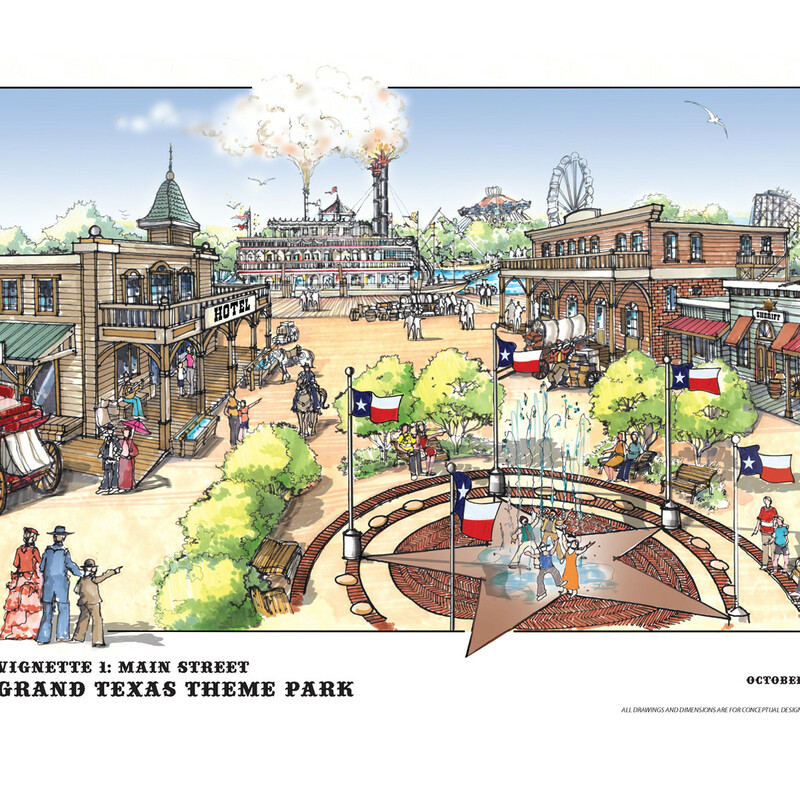 Grand Texas includes a shopping center, RV resort, two hotels and a working 14-acre ranch and is projected to attract almost two million visitors the first year it opens, and up to 4.5 million visitors by its fifth year.